Lately, all the telecom operators have made it very easy for the subscribers to carry out basic functions related to their SIM cards. At one point, simple things like checking talk time, data balance and plan expiration date used to be a tedious ordeal, but thanks to the self-care applications of these telecom operators, now we have don’t have to send SMS or dial-up codes to know about these things. Not only this, but these self-care applications have also made it easier for us to recharge our numbers, check out the available recharge plans, new offers, discounts and more. 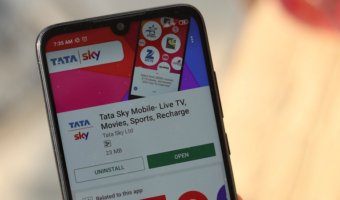 The companies also use these self-care apps like a launch-pad for their new apps and services, so subscribers get to know what is the latest thing their telecom operator has to offer. One of the most popular Self-care apps out there is the MyJio app. 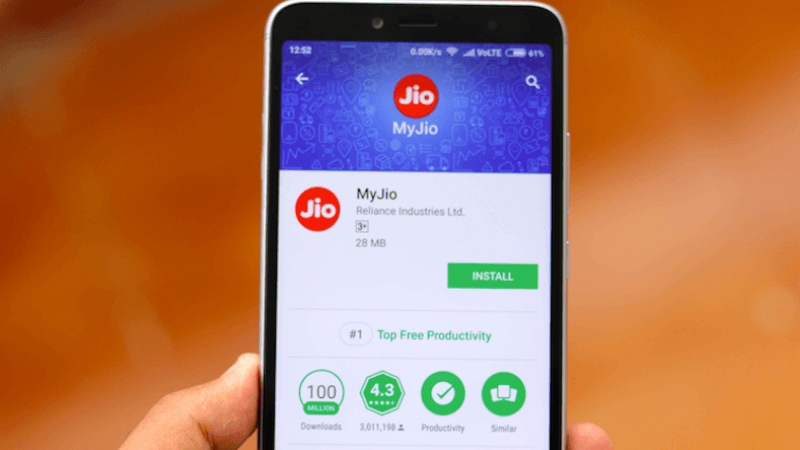 It would be hard to find any Reliance Jio customer who has not got the MyJio app, and if you are one of the rare Reliance Jio subscribers who has not yet installed this application, then I would say that you do so immediately because you are missing out on a lot. So, without further ado, let’s start discussing the features of the MyJio app. Now the good thing about the MyJio app is that you don’t have to go through a long login process when you are using a Jio SIM. You simply have to open the application and skip all the unnecessary stuff and go straight to using the app. Alternatively, you can also login to the app using your JioID or using the plain and simple OTP method. The first thing that you will see when you open the MyJio app is your account details. Now, this is one of the perks of using self-care apps. Whenever you need to check on your account details like your leftover data, your plans expiry date, or your other usage details like calls or SMS, you merely have to open the app, and you can see it on the front screen itself. For a more detailed summary of your account, the Myjio app also offers statements which you can access from the menu. Just tap on the menu on the top left side of the screen, and you will see “My Statements”. Another exciting feature which the MyJio app offers within itself is the JioPay integration. Here, you will be able to access payment instruments and wallets and Choose from a list of recharge plans and avail exciting offers. You will also be able to link your payment accounts like JioMoney, Paytm, PhonePe wallets and UPI. There is also the option of Jio Auto pay which you can set up for hassle-free payments in addition to saved cards, which merely make up for smoother and faster transactions whenever you are carrying out a recharge on the MyJio app. Another small tidbit which Reliance Jio ships in this application is the Jio voice assistant which can be summoned when you say “HelloJio” In case you want to resolve simple queries or need some questions answered, you can surely give the Jioassistant a shot. The next significant and useful section we find in the MyJio app is JioCare. Here you will be able to find answers to your queries with comprehensive FAQs and how0to Videos. You could also check out the helpful tips or even connect with the Jio Care experts. Also, if you need to raise service request or troubleshoot device issues, you can pay a visit to JioCare section in the MyJio app. Lastly, there are a few features in the Settings of the MyJio app which might come handy in case you are looking to tweak your subscription. Here, you will be able to customise your profile and your Jio account. You can also tweak the DND or Do Not Disturb preferences and enable DND to filter categories for which you wish to receive promotional messages. This section also allows you to manage your JioFi and Jio Fiber devices with ease. Lastly, you will find options to toggle international roaming as well. Any update on prime membership ? Will it be extending for another year or ? Because I am planning to port to Jio . I have Ported on 14th April 2018, as of today 18 April 2019, it shows expiry as 14 Apr 2019. for Prime membership. All things are working great. In short Jio is least bother of prime . You can consider it as activation fee taken at time of First recharge. and I dont think anyone is without prime, with rs 303 plan of just 150MB data per day.